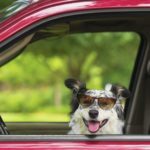 Road tripping with friends is part of growing up, but embarking on a dog-friendly road trip with your furry friend in tow can provide the same great experience. Choose destinations that you and your dog can both enjoy. Make sure parks are dog friendly, and find some off-leash zones where your pup can run around and burn off some energy. 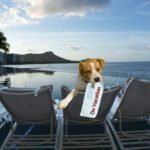 In fact, you and your dog can enjoy a travel experience with the right planning and preparation. Venture to places that will delight both of you — be it a new city, quirky roadside towns, or secluded natural havens. Set up your itinerary about a month ahead of time. Even if you want your trip to be more loose and spontaneous, it’s good to know the general route. Check the road and weather conditions of your destinations. In addition, make sure you have some gas stations and pit stops scoped out so you and your pup can stretch your legs. 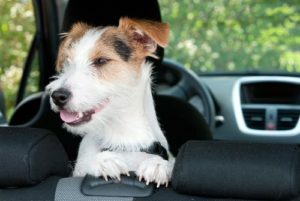 If your dog is in the cramped car for too long, they may be more prone to have a bathroom accident in the vehicle. Choose destinations that you and your dog can both enjoy. Make sure parks are dog friendly, and find some off-leash zones where your pup can run around and burn off some energy. 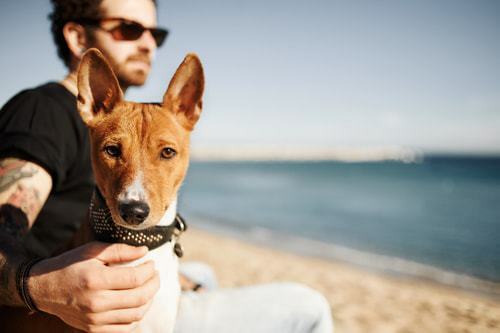 When traveling with your furry best friend, make sure you have accommodations that welcome pets. 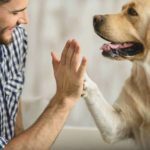 Many hotels have become more pet-friendly, typically for an extra fee. 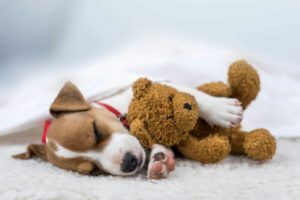 Kimpton Hotels, for example, are dedicated to accommodating their guests’ pets and offer amenities specifically for your dog. You can also go the more rustic route and camp in a tent. 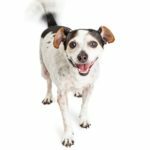 Campsites are very dog-friendly, as they offer ample space within nature. However, while at a campsite, make sure your dog is secure in the car or in the tent to protect them from any predatory wildlife. If you’re camping in a state park or private campground, visit the location’s website or call ahead to make sure it’s a good spot for you and your pup. Make sure you pack accordingly for your dog. Bring along a full roll of poop pick-up bags, so you can responsibly dispose of your dog’s waste. In addition, make sure you have enough food for your dog. Utilize a tupperware container for pet food that has a secure lid, so your dog won’t loosen it and overeat. Bring collapsible, quick-dry water dishes that you can keep neatly packed and carry in your day bag for any adventures away from the car. If you’re in a remote area, where there is limited access to fresh water, also bring along a water purification system. Don’t let your dog drink any water treated with iodine purification pills, as iodine is poisonous to dogs. Instead, invest in a SteriPEN, which uses UV-C light rays to quickly and efficiently destroy bacteria, protozoa and viruses from crude water. Make sure you are in-the-know about the rules of the road. Each state has different driving laws about dogs on your lap while driving. If caught, you could receive a ticket, which will then become part of your driving record. Make sure you review the specifics of state driving laws before you explore the open road. Secure your dog with a pet seat belt or safety harness so they will have extra protection if an accident occurs. Wherever your dog sits, make sure they aren’t in an area that will deploy airbags, as their abrupt impact will severely injure your beloved buddy.